The good people at Littlewoods recently sent me a Breville 3-in-1 hand blender set to road test. The neat looking gadget comprises a balloon whisk, blender and mini chopper, so I decided I’d really put it through its paces by putting it to work on a three-course lunch. For a simple starter I made Dukkah, an Egyptian spice mix that’s wonderful served with bread and oil. 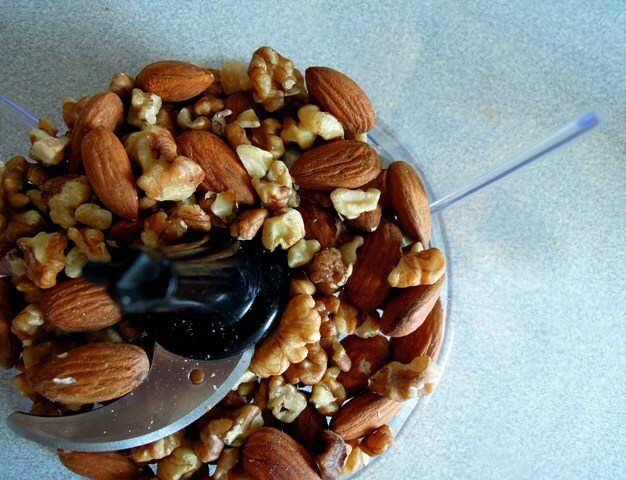 Grinding up the toasted nuts and seeds was an ideal way to test out the mini chopper. The chopper did a pretty good job, making light work of grinding up the nuts and seeds very quickly. But it was extremely noisy and sent the children fleeing from the kitchen with their hands over their ears! I used the mini chopper again to chop and blend the ingredients for a pesto sauce to serve with spaghetti. I experimented with watercress and pistachio, which turned out to be a delicious combination, getting a big thumbs up from all the family. Again it worked well and I managed to achieve a good smooth consistency. 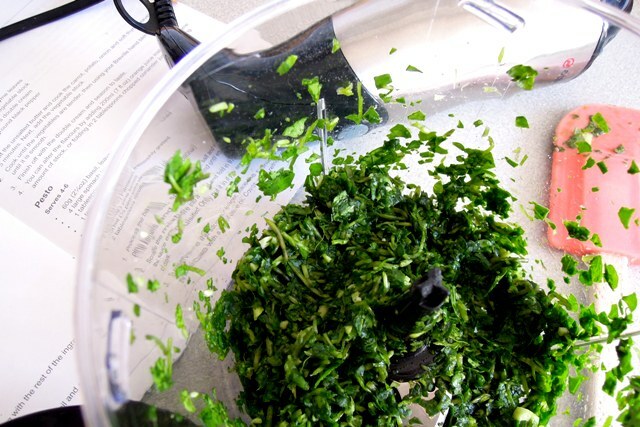 But the container isn’t big – not a particular problem for pesto as you use the sauce fairly sparingly – but could be when you need to grind or chop larger quantities. 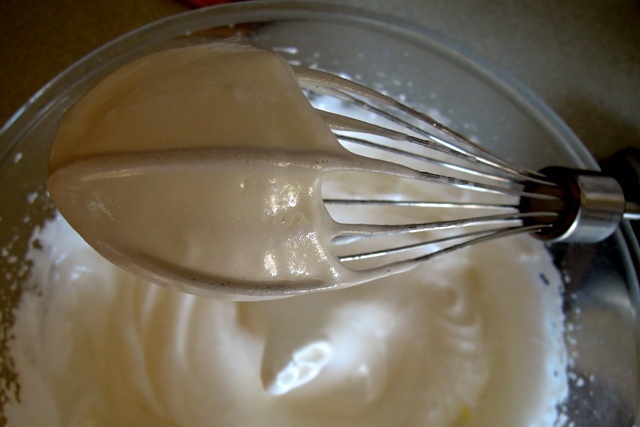 Time to try out the balloon whisk next, and it had to be egg whites. 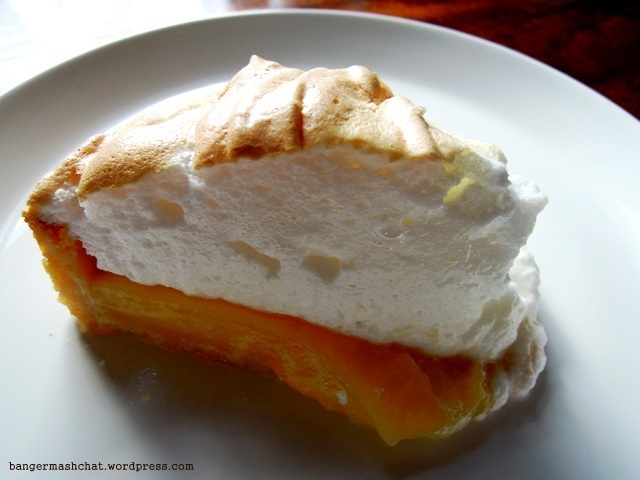 So for pudding I made my first ever lemon meringue pie, which was much, much easier than I’d anticipated. The whisk worked like a dream – albeit a rather noisy dream – with the egg whites forming wobbly peaks in what seemed like seconds. It was so much quicker than my last whisk. I only used the lowest setting; I can’t imagine ever needing to use the higher setting. The resulting meringue was beautifully white and fluffy and almost marshmallow-like. Absolutely perfect. I used the whisk again a few days later on a cheese sauce. This time I did find myself wishing I could lower the speed, as I found it practically impossible to whisk the sauce in the pan without it splashing everywhere. 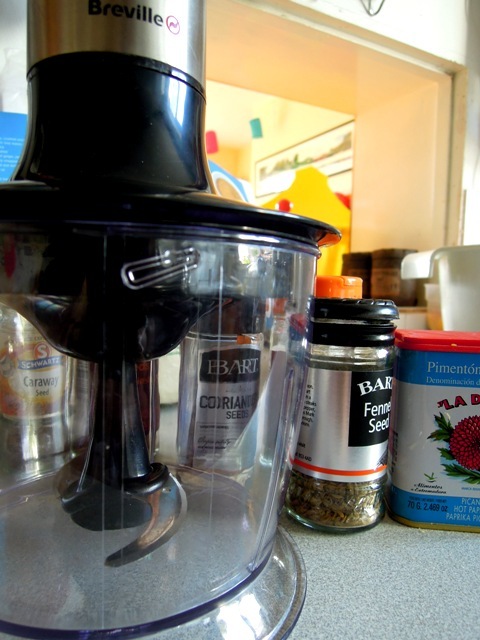 I’ve also used the blender attachment a number of times over the last couple of weeks to make smoothies and liquidise soups. It does a good job, but again it is a lot more noisey than any blender I’ve used before. If you like being on your own in the kitchen that could be a good thing I suppose, as no one sticks around when you’re using it. 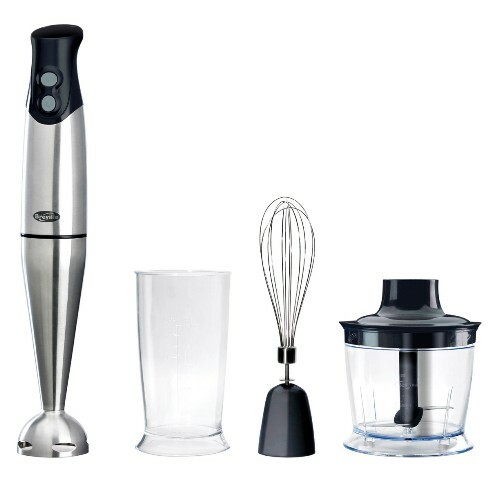 All in all, I’d say the Breville 3-in-1 hand blender is a fairly decent piece of kit considering the price. At the moment you can buy it from Littlewoods for just £34. But it could definitely do with being quieter and offering a lower speed level, particularly when using the whisk attachment. Disclosure: Littlewoods sent me a complimentary Breville 3-in-1 hand blender set for review purposes. No money exchanged hands. Oh no! How long did it take to wear away?